We have a plum tree on the property we just purchased. It is now January and we are in Los Angeles, and this tree has no leaves, and no buds that I can see. Do you know what kind of a plum tree this might be (photo below)? Is it normal for it to “look dead” in winter? Nothing was altered here for some time before we moved in, I am watering regularly now. Can you help me bring this to life? This is completely normal! They need some dormancy to ensure proper fruit set the next year. I am seeing new growth that will become flowers soon. Those knotty looking growths are early blooms. After the flowers, will come leaves. 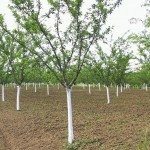 If you want to ensure that it remains healthy, you can always fertilize with an all purpose slow release for fruit trees, dolomitic lime, and iron sulfate once per year.